Erin Burrows worked closely with the Texas Blazers in their effort to raise $4,500 for the Voices Against Violence (VAV) Survivors’ Emergency Fund. Check out the photos. Marian Trattner’s first cohort of CMHC peer educators recently graduated from the training program. Trattner is the instructor for the three-semester sequence of courses where students learn how to educate their peers on mental health issues. CMHC Director Chris Brownson completed the Governor’s Executive Development Program. The program provides three weeks of intensive training for top executives in state agencies and universities. 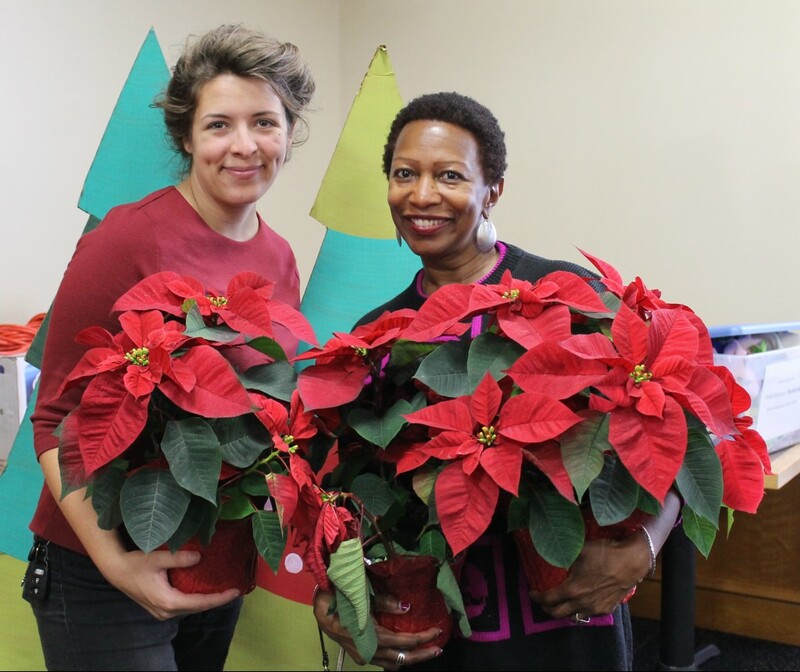 The DHFS holiday lunch was a great success. Staff mingled and celebrated the upcoming winter break. Chef Mayberry prepared a tasty spread including roasted pig and homemade cranberry sauce. Chef Robert De Witt won the bake off. Take a look at some of the photos. 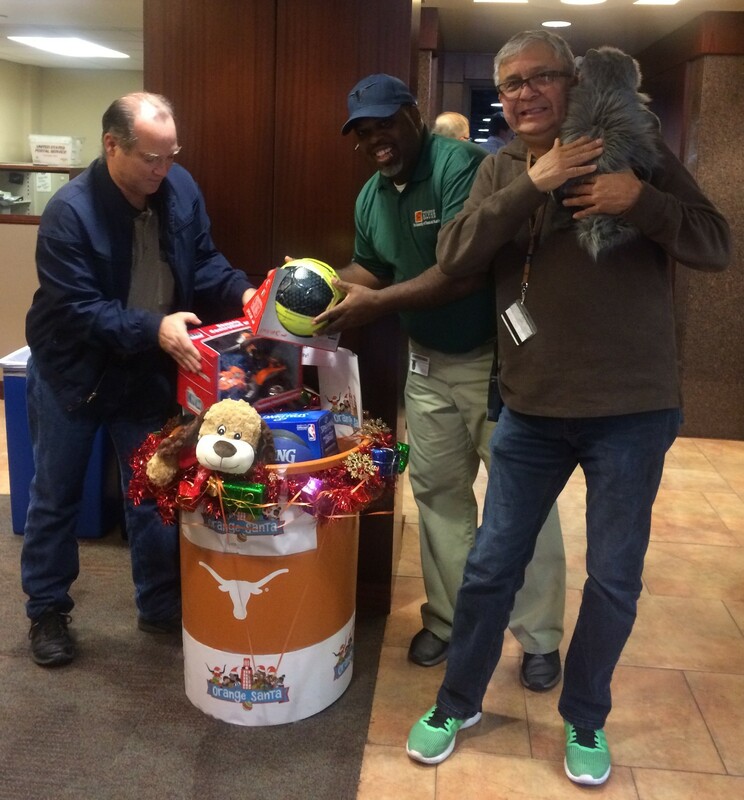 Mike Farrell, Richard Dixon and Jorge Calderon donate toys to Orange Santa. The DHFS Human Resources team did a great job spreading the word about Orange Santa. This year DHFS filled three bins in the main administrative office lobby, which is significantly more than in years past. 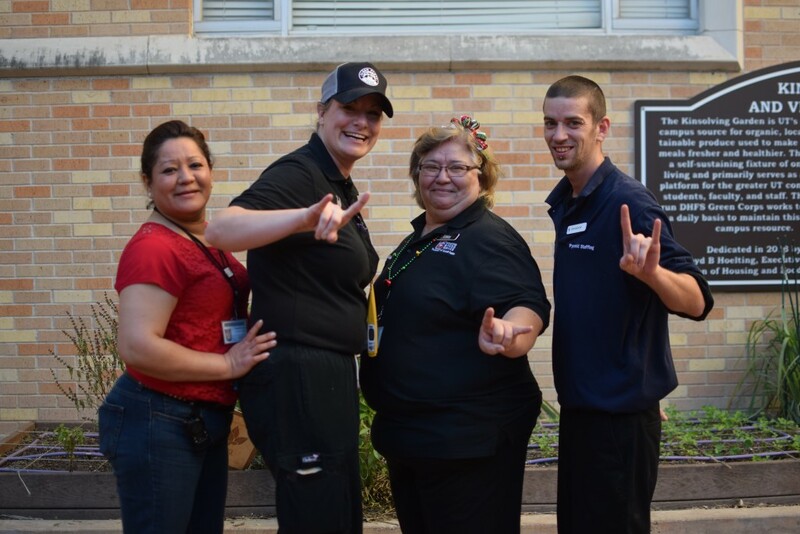 Kinsolving staff Eva Robledo, Stephanie Calk, Libby DeSantiago and Brandon Pearson have some fun at the Winter Fest Dinner. J2 and Kinsolving staff prepared a great Winter Fest meal on Dec. 3. They served comfort foods like top round roast and house-made green chile tamales, a dessert spread including, buñuelos, apple cranberry crisp and a hot chocolate bar. Some DHFS directors and their families attended the dinner. 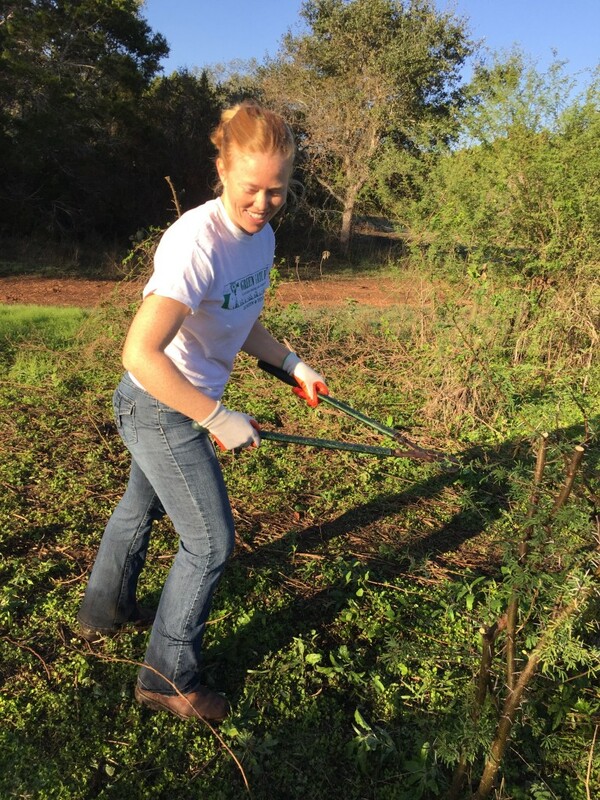 Lindsey Hutchison and the UT Green Corps are collaborating with the Lady Bird Johnson Wildflower Center to create Taste of Place. The initiative will showcase plants that are edible and native to Texas. 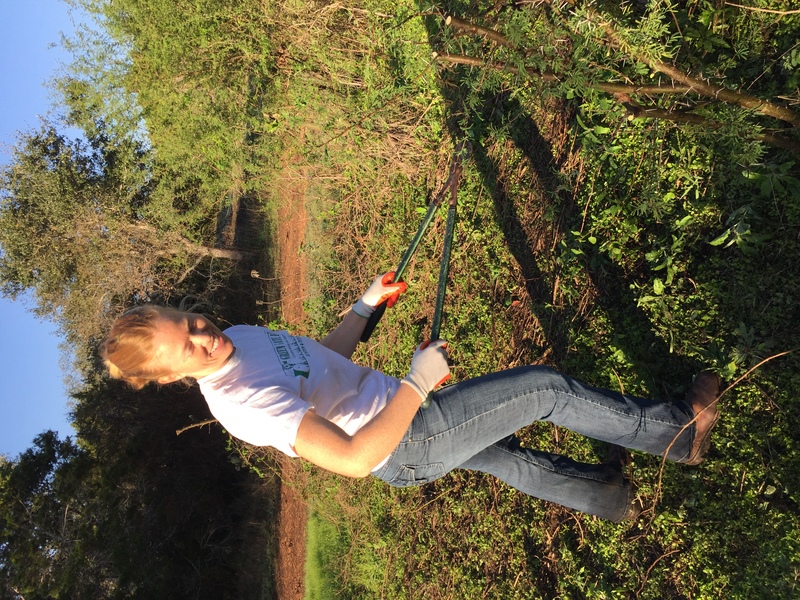 Partnering with Wildflower Center staff Danielle Pieranunzi and Andrea DeLong-Amaya, they cleared space and will begin planting this spring. Admission to the Wildflower Center is free for faculty, staff and students with a valid ID. NSS staff is gearing up for Spring Orientation on Jan. 11 for new freshman and transfer students. In addition to orientation, students can attend Spring Transition Week from Jan. 12­–15. Spring Transition Week is a series of events and programs to help students transition to UT Austin, learn about campus resources and meet other students. See the full schedule of events. 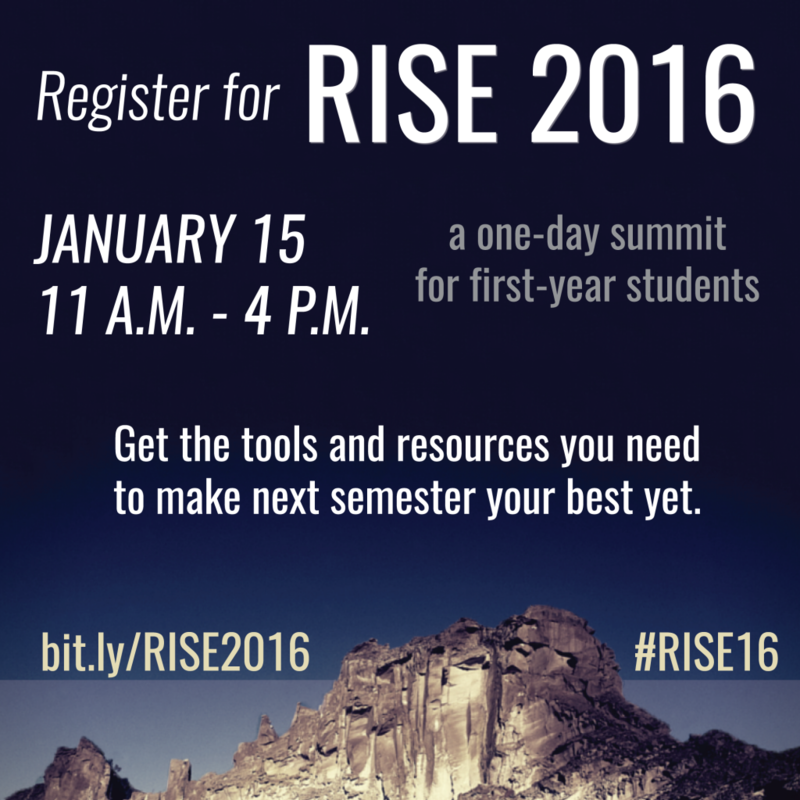 NSS is partnering with the Senate of College Councils to present RISE 2016, a one-day summit for first-year students designed to reinforce information, resources and core values taught at orientation. (RISE stands for reflect, inspire, surpass and emerge.) The program will take place Jan. 15, 11 a.m.–4 p.m. in the Student Activity Center. Have students register here. NSS will begin working with new orientation advisors on training this month as returning orientation advisors (OA) head off to Leadership Training. The semester-long peer leadership course begins Jan. 19, and the entire 2016 class will attend the OA retreat Jan. 29–30. Student Veteran Services (SVS) welcomes new student veterans and their families to attend an open house on Jan. 11 in the Student Veteran Center. Guests from the Department of Veterans Affairs, the Texas Veterans Commission and the Office of the Registrar will be there to talk with students. Staff with the Leadership and Ethics Institute (LEI) is accepting student applications for Leadership Education and Progress (LEAP) until Jan. 19. LEAP is a free leadership development program open to all first-year and transfer students. This is an excellent opportunity for students to establish a professional network of peers, receive coaching, and learn leadership from University staff and local community leaders. Access the application. 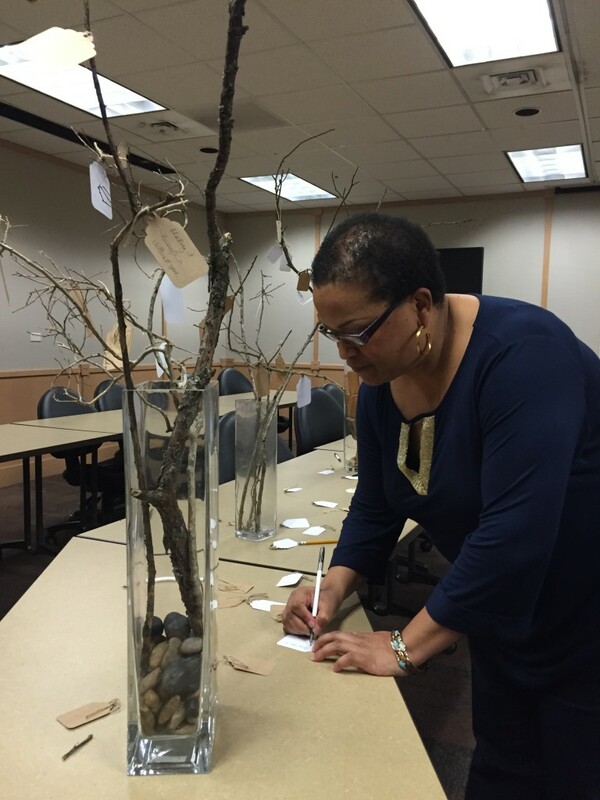 Staff are preparing for the 2016 Texas Leadership Summit on Feb. 6. The program is a free leadership development conference open to all students who want to refine their skills through engagement in experiential workshops, breakout sessions and networking. Encourage students to registration on Hornslink by Jan. 26. Joanna Pope writes an achievement card. At the office-wide staff meeting on Dec. 14, staff enjoyed a pancake breakfast and decorated “Achievement Trees” with their biggest accomplishments of the semester. See the photos. VPSA rolled out the Division’s Strategic Plan Second Year Progress Report last month. Thanks go to Director of Assessment Gale Stuart and her committee members Alex Kappus, Megan McMillan, Susie Smith, Jenn Speer and Mark Zentner who produced the report. Read Dr. Paine’s mid-month column for more insight on what’s been accomplished and what’s ahead. Gale Stuart will provide two opportunities for Division staff to learn assessment techniques on Jan. 15 and 22. See the photos from December’s workshop. Front, from left: Ryan LaDue, Lisa Barraza, Christina Cummings, Christina Fehler. Back, from left: Leticia Banda, Trish Bullock, Star Carlos, Nancy Rucker, Stephanie Quiroz, Michelle Jones. 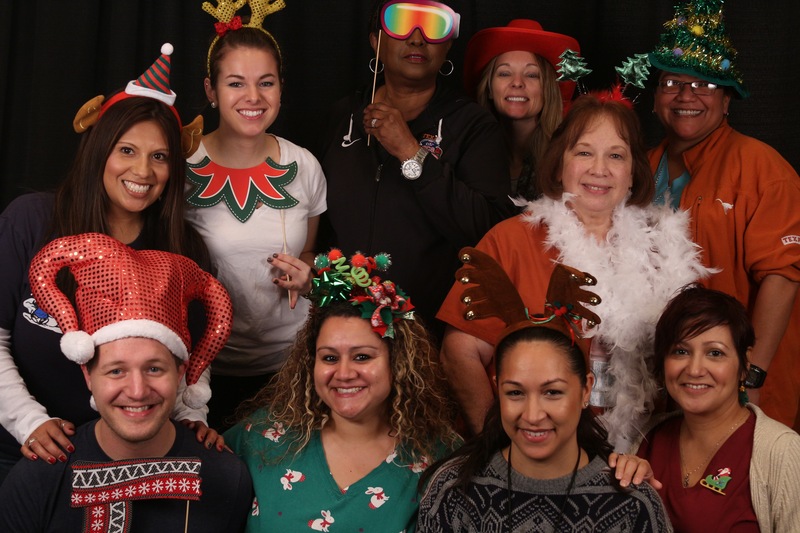 Hundreds of team members from across the Division brought their cheer to the annual Staff Holiday Celebration, enjoying festive food and conversation. Take a look at the photos from the party and photo booth. Division staff visit the VPSA office to participate in the Penn Summit. Assistant Vice President for Strategic Initiatives Edna Dominguez invited staff to participate in a series of four lectures on race relations on college campuses. The University of Pennsylvania hosted the live broadcasts last month through Google Hangouts. Mark your calendar for the Division-wide meeting on Jan. 28, 9-11 a.m., Texas Union Ballroom. Staff will hear Frances Lucas, a Student Affairs leader for 34 years speak on “Seven Steps to Courageous Leadership.” She will discuss how student affairs professionals can increase their courage and become agents of change. Dr. Paine will also announce the recipients of Texas Parents Staff Merit Awards. Colleen Waller and David Trotter take inventory of donated food. RecSports staff supported students’ efforts to give back to the community. 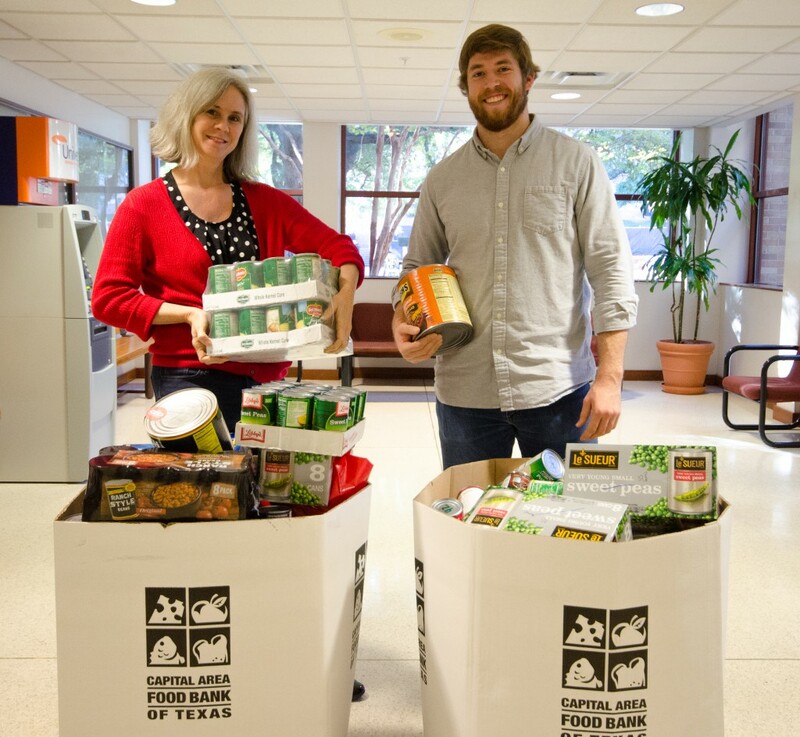 The sport clubs won the Beat A&M, Beat Hunger food drive by amassing 55,294 ounces of food to the Aggies’ 48,901 ounces. Both schools donated the food to local food banks. Thanks to all who contributed. Check out the photos. 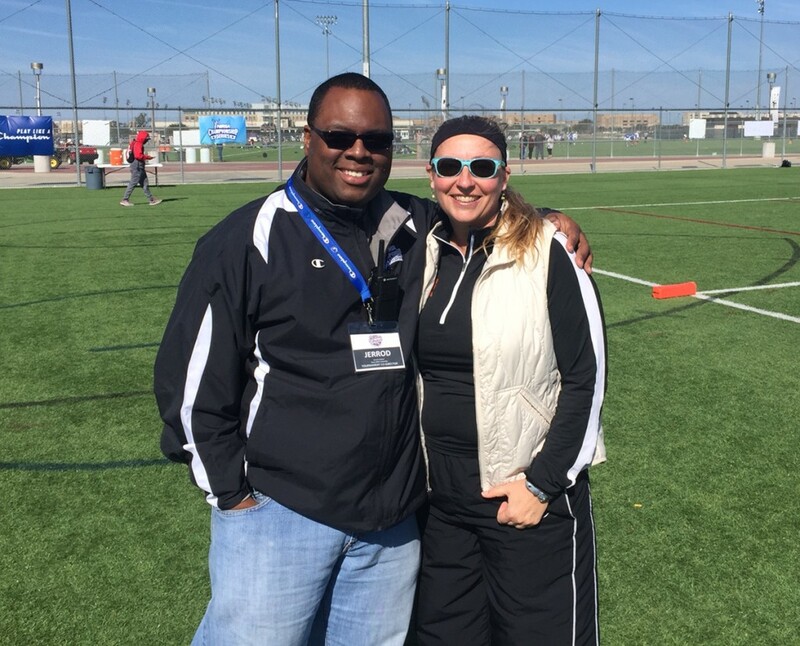 Update: Senior Assistant Director Darci Doll returned from the National Intramural-Recreational Sports Association (NIRSA) Region IV Intramural Flag Football Tournament at College Station with good news. Two of her student staff represented UT Austin well as flag football officials. Both were selected to work championship games in January and received other honors that reflected positively on RecSports’ officials training program directed by Doll. Program Coordinator Dominique Alcala headed the RecSports staff holiday social committee, which planned an off-site staff party featuring food, games and prizes on Dec. 11. Senior Assistant Director Erin Erford headed a committee of full-time staff who organized a reception honoring student staff who graduated in December. Program Coordinator Cecilia Lopez Cardenas is working in collaboration with New Student Services to offer a complimentary Nike+ Training Club workout for new students as part of Spring Transition Week. New Longhorns will also learn about the Campus Leaderboards as a way to gain motivation and set goals. Texas Parents launched the spring 2016 Texas Parents brick paver campaign, encouraging parents to make a gift while honoring their students with a brick paver laid at the Student Services Building entry. Click here for more information. The 18th Annual Texas Parents Staff Merit Awards will be presented at the Division-wide staff meeting on Jan. 28. The honor is given to employees who personify the Division’s culture of excellence through their partnership, purpose, progress and participation. Read about who was recognized last year. Texas Parents will welcome the parents and families of incoming transfer students at the Spring Family Orientation on Jan. 11. Staff are encouraged to nominate for the 2015–16 Outstanding Student Award from Jan. 11–Feb. 8. This award is given to one male and one female senior student who demonstrate exceptional leadership, scholarship, character and service. Click here for more information and to see a list of past recipients. CSR launched an entirely redesigned website with the tremendous help of Blake Grugett, webmaster for University Health Services. The site is streamlined, mobile-ready, and can be found at the now greatly simplified web address, recovery.utexas.edu. 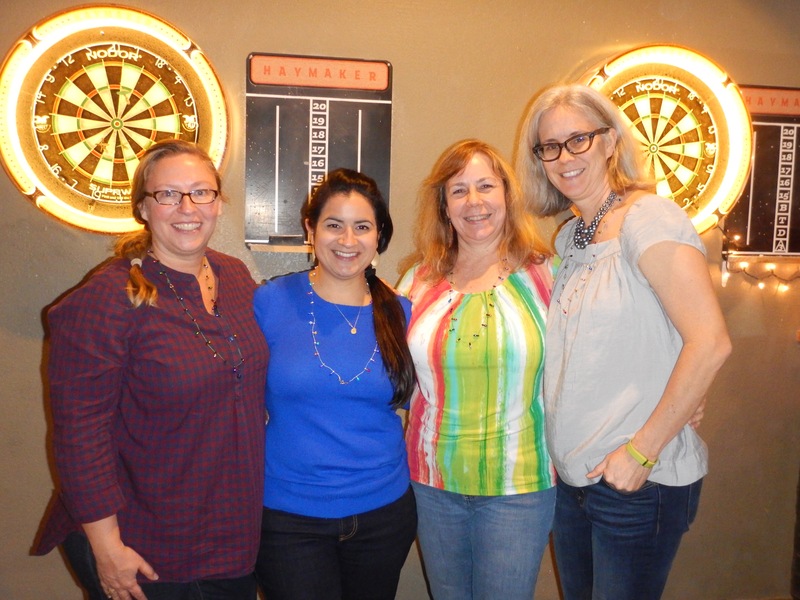 CSR Director Sierra Castedo will be giving a Continuing Education Unit (CEU) presentation about supporting college students in recovery at the Texas Association of Addiction Professionals Austin chapter meeting on Feb. 5. Save the date for the CSR Spring Brunch, April 16, 10 a.m.–noon, at the Texas Union Santa Rita Room. All are welcome to attend. The Ugly Sweater Party was a great way to wrap up the semester with a little fun. Staff, students and CSR supporters shared their personal growth over the last year. Check out the photos. UHS implemented self check-in stations using iPads in some clinics. Kerry Aguillon, Kathy Mosteller, Sherry Guyton and Deb Steinman enjoy the holiday lunch. 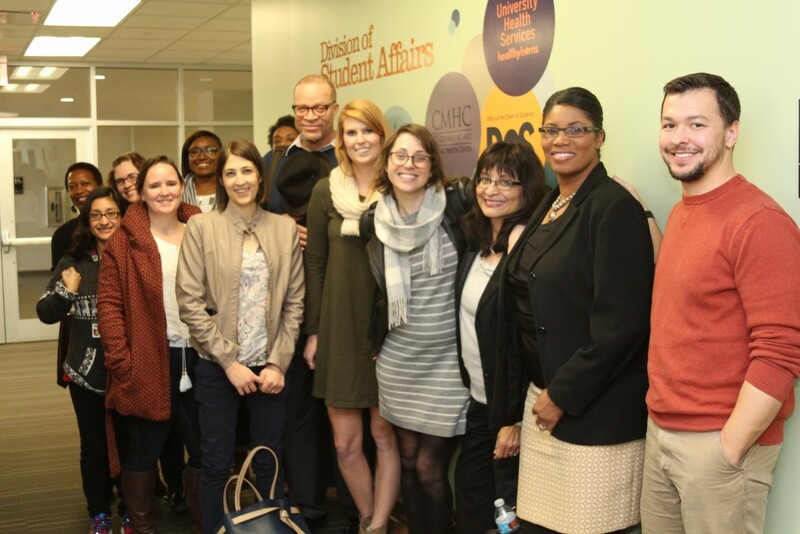 Staff spent Dec. 16 engaging in professional development activities for Staff Development Day. Educational topics included HIV post-exposure prophylaxis, community resources for students who don’t have health insurance, notifiable disease and Clery Act reporting. 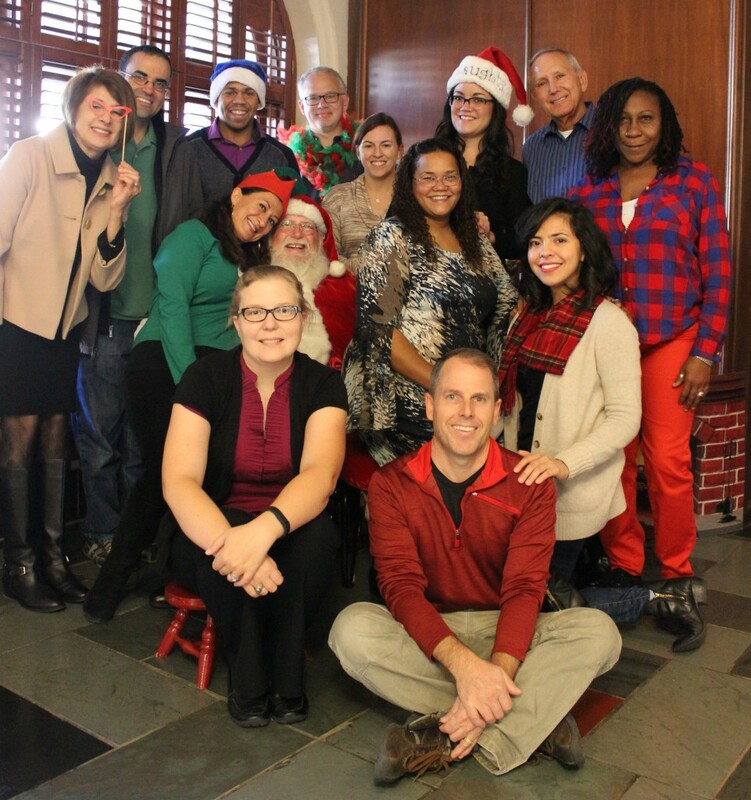 Between learning sessions, the whole staff came together for the annual UHS holiday luncheon. Members of Texas State University Health Services leadership team toured the UHS facility and learned the operation model. Staff gathered after hours on Dec. 10 for an unofficial UHS holiday party and lively “Yankee swap” style gift exchange. Health Promotion Resource Center staff distributed breakfast bars to students on the Perry-Casteñada Library plaza at an event called “Fuel Your Mind for Finals Success.” See the photos here. The UHS laboratory staff assisted an adjunct faculty member in the psychology department, Dr. Russell Alan Poldrack, with a research project by providing weekly phlebotomy and lab tests. The study was recently published in the academic journal Nature Communications. Once again, Santa paid a visit to hundreds of Longhorns at the Student Activity Center (SAC) and Texas Union. Students and staff got a photo taken with Santa and received candy and a printed picture on the spot. Share these fun photos. Staff served hungry students pancakes and other food at Finals Finals Finals Fest hosted at both the SAC and Texas Union. Students lined up to get some fuel for their minds. Check out the photos. Campus Events + Entertainment hosted ChillFest to help students relieve stress and pressure leading up to finals week. Over 900 students attended the event to visit with therapy dogs, receive chair massages and chat with fellow students. See the photos.